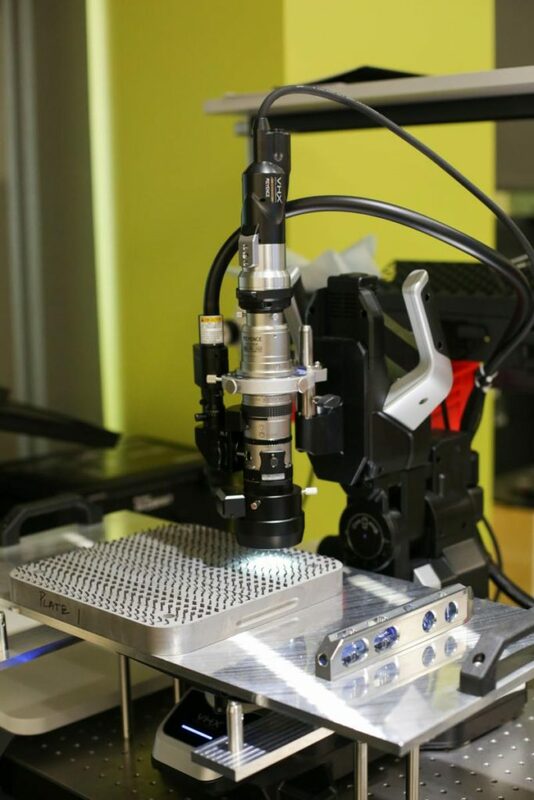 June 20, 2016 – Colorado School of Mines and the Alliance for the Development of Additive Processing Technologies (ADAPT), a consortium of academic, industry and government institutions focused on developing technologies to accelerate the certification and qualification of 3D-printed metal parts, will be hosting an open house at 5 p.m. June 23 in the ADAPT Advanced Characterization Center (Brown W230) in Golden, Colorado. ADAPT Technical Director and Mechanical Engineering Assistant Professor Aaron Stebner says the open house will welcome new industry partners to the consortium. To date, Mines has focused exclusively on providing research for the founding industry members: Faustson Tool, Lockheed Martin and Ball Aerospace & Technologies, as well as building out the facilities on an incredibly accelerated timeline. “We have planned this event to showcase our facilities, which are a resource that may benefit many sectors of mechanical engineering and materials science. But more importantly, we want to officially open our consortium to new members, and to highlight our ability to service the 3D printing industry,” Stebner said. Stebner will be demonstrating new equipment, including a new Zeiss Xradia 520 Versa 3D X-ray microscope that is capable of Diffraction Contrast Tomography. “We are the first university in the world to have bought one,” Stebner said. “The only other one in the U.S. is at the Naval Research Laboratory, and they just bought it last October.” There are two other development instruments in the world—one at the University of Manchester in England and the other at Riso Kagaku Corporation in Tokyo, but neither of those were purchased. Last week, Materials Engineering Associate Professor Jeff King and Mechanical Engineering Assistant Professor and Technical Co-Director of ADAPT Douglas Van Bossuyt received a $500K grant from the Department of Energy to study the radiation tolerance of 3D-printed metals. They will be placing additively manufactured metal test coupons in Idaho National Laboratory’s Advanced Test Reactor to irradiate samples and test them for radiation damage. 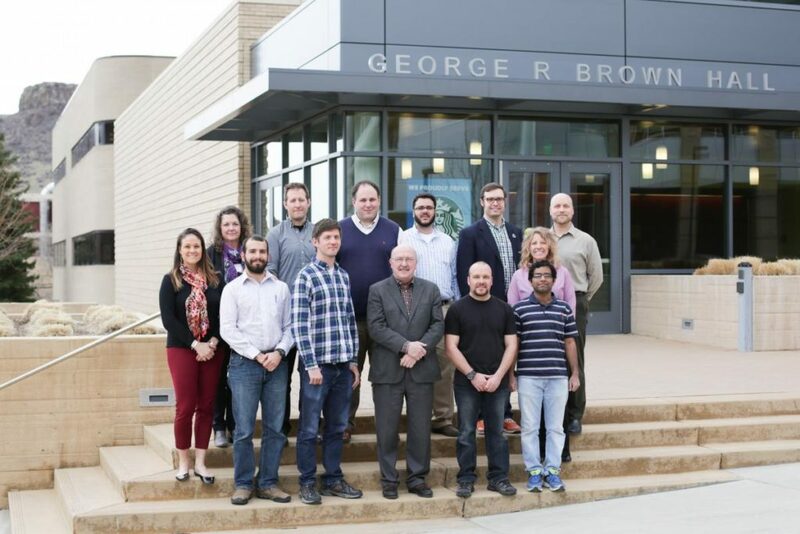 In recent weeks, ADAPT received a $100K gift from Confluent Medical Technologies to establish a named fellowship at Mines and support research toward 3D printing of shape memory alloy medical devices. “With this center we have the foundation for making Colorado the center of the world for metal additive manufacturing expertise, and Colorado manufacturers have first access to groundbreaking research,” said ADAPT Executive Director and CEO of Manufacturer’s Edge, Tom Bugnitz. Partners include Ball Aerospace & Technologies Corp., Faustson Tool, Lockheed Martin, Citrine Informatics. A $4M grant from the Colorado Office of Economic Development and International Trade (OEDIT) was provided to Manufacturer’s Edge (Colorado’s National Institute of Standards and Technology’s Hollings-Manufacturing Extension Partnership) to establish a world-class characterization center for addictive materials at Mines and ADAPT’s physical headquarters, and also funds the first year of technical efforts aimed specifically at improving nickel-based and titanium-based alloy 3D printing. The R&D in ADAPT is carried out by Mines students and postdoctoral researchers, directed by Stebner and Van Bossuyt, along with Mechanical Engineering Assistant Research Professor Branden Kappes.